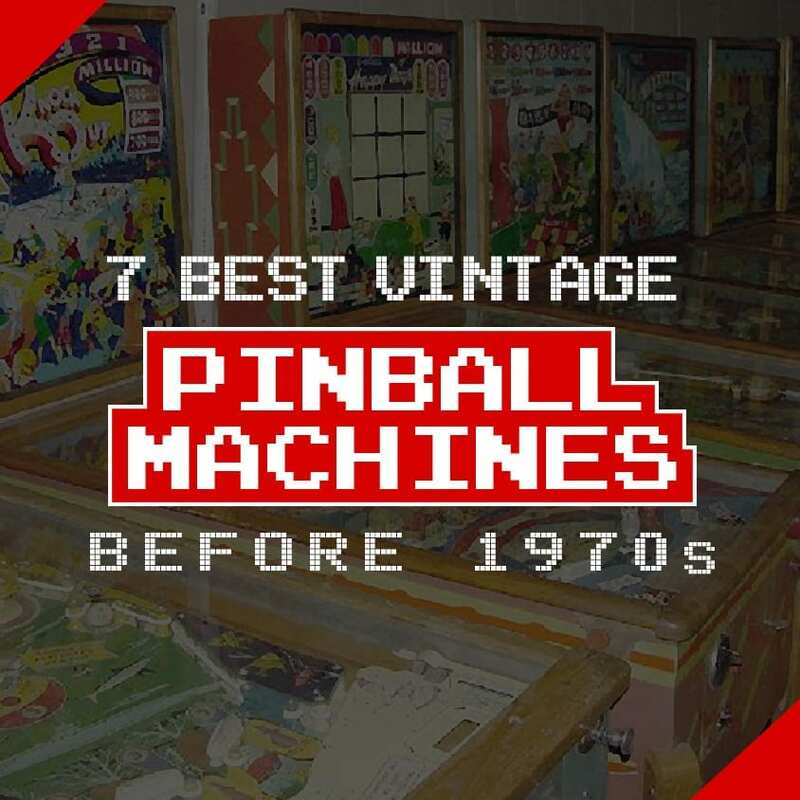 While the 1970s era is often considered as the golden era of Pinball, with its notoriety reaching the zenith, there are a number of pinball machines before this decade that are noteworthy. The pre-70s pinballs are the machines that served as the guinea pigs for the many features that we now enjoy in our modern pinball machines. To explain further, in this list we gather 7 of the best vintage pinball machines that you can still buy at garage markets. Blast Off is an electro-mechanical pinball manufactured by Williams in 1967. It was born in the years of space race, thus its theme revolve around launching rocket to space. It features a stainless steel trim, front door and frame. It is also fairly advanced in its time for having an automatic ball lift. The gameplay includes launching the Apollo rocket by counting down the rollover buttons. As its name suggests, the Heat Wave Pinball (1964) by Williams is themed around scorching hot summer day. It features a thermometer in the backglass, which increases as you hit “advance” bumpers on the playfield. As the temperature increases, the target value is multiplied. It also features an adjustable 3 to 5 ball play and a replay game where the drop target and two side lanes register replays. Made by Gottlieb in 1965, it is the first ever pinball machine to feature flipper return lanes which allows you to hit the ball behind the slingshot towards the flippers. It is a pinball game. It is a pinball pastiche of billiards with the original design including 15 colored numbered balls. Ace High is one of Gottlieb’s classic Pinball machine inspired by ace high in poker. In the game, hitting the Queens, Kings and Aces each give replays. It is the last pinball machine to have no match feature which means players can still activate the flippers even after the game is over. Knock Out by Gottlieb is a unique pinball because it includes a bash toy at the center that features manikin boxing fight. It is one of the most popular Woodrail pinball which uses wooden frame. The goal of the game is to achieve a knockout by completing 5 balls with max bumper scores. While not exactly a pinball machine, Skill Roll (1956) by Bally is often grouped in this category. It is the first of Bally’s Skill Games which according to them is a genuinely skill game in the years when Pinball was still considered a game of chance. The goal is to reach a high score by dropping a coin at the top slot and flicking eight handles to shoot it on eight rows. Are you familiar with these vintage pinball machines? Share us your thoughts by leaving a comment below. Want more pinball machine related news and updates? Never miss a post by regularly visiting our blog.